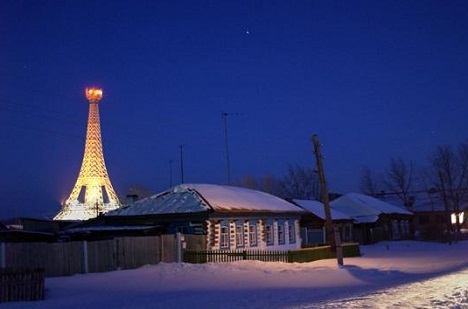 At the heart of the Urals’ southern steppe lies a series of villages with European names and replica landmarks. In the Ural European hamlets, tourists will not encounter the luxuries enjoyed in their European counterparts. However, they will certainly be able to escape form the urban hustle and bustle and experience some fascinating villages with their own particular way of life. A real highlight of any trip to the area will be a chance to meet the enchanting Nağaybäks, a small ethnic population which appeared after the christening of the Tatars. They fought in the Patriotic War against Napoleon and entered Paris in 1814 with the Russian army. The Nağaybäks are very hospitable and welcome tourists to share their traditions and culture as well as culinary secrets! The first encounter with the Nağaybäk people can sometimes cause surprise. Despite having Russian names they speak Nağaybäk a dialect of the Tatar language. Although they classify themselves as Orthodox Christians, they celebrate pagan rituals much to the derision of local priests. On the anniversaries of the death of their relatives, the Nağaybäk organise large wakes and make sacrifices. Once a year they also prepare a bath for Maundy Thursday which is believed by the Nağaybäks to be the day in which their ancestors’ souls are cleansed. Aside from these rituals the Nağaybäks also have a peculiar cuisine with a favourite dessert being cherries in oil with sugar. In 2012, 200 years after the battle with Napoleon, the Nağaybäks retraced their steps and went to conquer Paris again. Travelling overland through Poland, Germany and France, the Nağaybäk delegation passed through the same European settlements that their Cossack ancestors had once conquered. Parisian officials could not meet the group, but the mayor of Arcis-sur-Aube received the Nağaybäks but made a debatable assumption: “You are the first Russians to come to our town after Tsar Alexander I in 1814”.